It is tough to navigate and see between queries and pages. There are times when your pages often rank for more than a single query and pages may swap positions in SERPs for the similar query. 90 days of data isn’t enough as Google makes it tough to track long-term trends and make necessary comparisons. There’s enough data in Search Console but it’s tough to reach the insights. Wouldn’t it be great if we could know more on data which keeps changing, like relative performance and CTR curves? Console Rocket: This is a free tool created by SEO platform Linkdex on an altogether different domain. This tool offers you lot of data and it can store 100,000 keywords and store it for as long as 12 months! This tool has pulled off pages and keywords with some nice drill downs. It can even tag keywords into the non-branded and the branded groups. Console Rocket offers CTR curves for all your devices and if you do forecasts using CTR by position data. Search Analytics for Sheets: Search Analytics for sheets is yet another awesome free tool and this too offers a great way of making your data accessible through Google Sheets. With this come a number of features which you may not get through web interface. You can also use the power of Sheets along with your data. Here you can apply Groups and Filters where groups are data, query, page, device and filters apply to similar parameters. 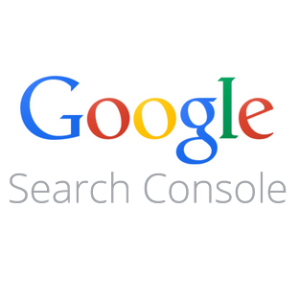 Search Console Helper: This one is not free and it runs locally on your PC. But beware because there is no native Mac version. As it runs locally, you won’t need internet access. Hence, if you want to crunch data while you’re on-the-go, this could be a killer feature. Therefore, if you want to help yourself by making your search console data more valuable, you can definitely seek help of the above mentioned tools for your convenience.